The Official download release of unheard GBM tracks will be on 29th March 2019, through CDBaby. The GBM tracks from the late 1980's, the "Cave Studio" sessions, will be part of an album that will also feature new tracks by GBM. All instruments with vocals performed by John (JJ) Johnson. The film, Can it be? Unconditional is presented in an original and unusual way with interaction between words, images, rhythm, music and electronica and concludes with a universal message/question. The film soundtrack also called, Can it be? Unconditional, is available on CD and download. GBM have released the 'GBM Soundtracks' Album that brings together seven tracks taken from the soundtracks of Short films including,' Can it be? Unconditional ', 'Blue Gene Baby and others. The music ranges from Electronica, spoken word, ambient, and techno-hybrid genres. on the GBM Media label. The single is in an original Dance / Groove / Electronica / Song / Crossover genre, with a universal message/question. 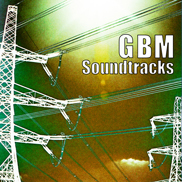 The GBM single/EP can be purshased in a jewel case CD from CDBaby. CDBaby is an online record store offering the best new independent music around. The 3rd CANNES INDEPENDENT FILM FESTIVAL: CANNES FRANCE, will be held between MAY 12-23, 2010. 'Can it be ? Unconditional ' nominated for a 'Heart of England' Award in the Music based video category at the International Film Festival England Tamworth, UK June 2008. Can it be ? Unconditional ' was selected and screened at the ReelHeART International film Festival (RHIFF) in Toronto Canada June 2007. Propeller TV broadcast GBM 's film ' Can it be ? Unconditional ' on SKY channel 195 as part of a 5 week schedule. Can it be? 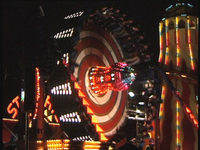 Unconditional was shown as part of the Super Shorts Film Festival (London, UK) which took place from 17 July to 21 July 2006 and toured to major UK cities during 2006 - 7. © DRUMPUNK 1999 - 2019. All rights reserved. May only be reproduced with the express permission of the copyright owner. Any copyright infringement of the name or contents of Drumpunk will be vigorously pursued.